What does this mean to you? An improved ISO Public Protection Classification rating means lower homeowners insurance for every household in town. 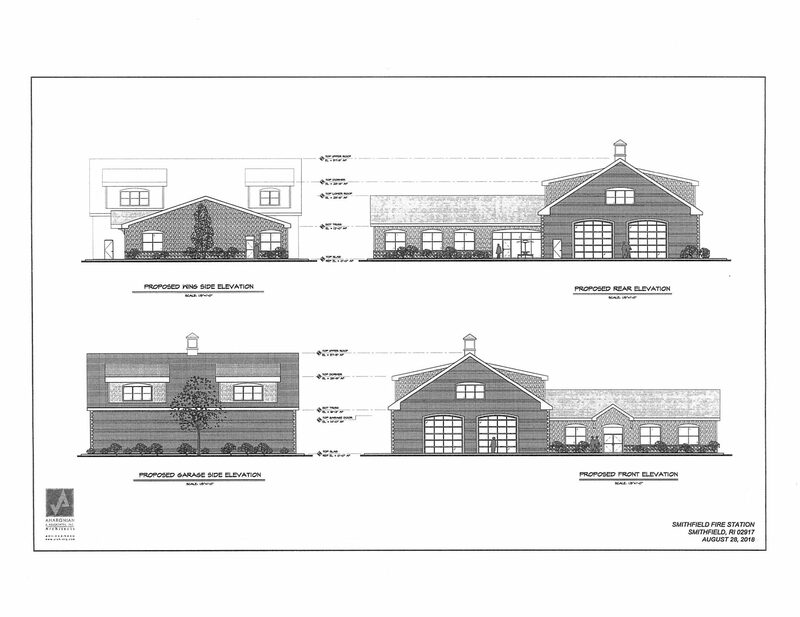 The Smithfield Fire Department is asking the community to approve a Bond Referendum for the construction of a new fire station to service the route 7/route 116 area of the town. 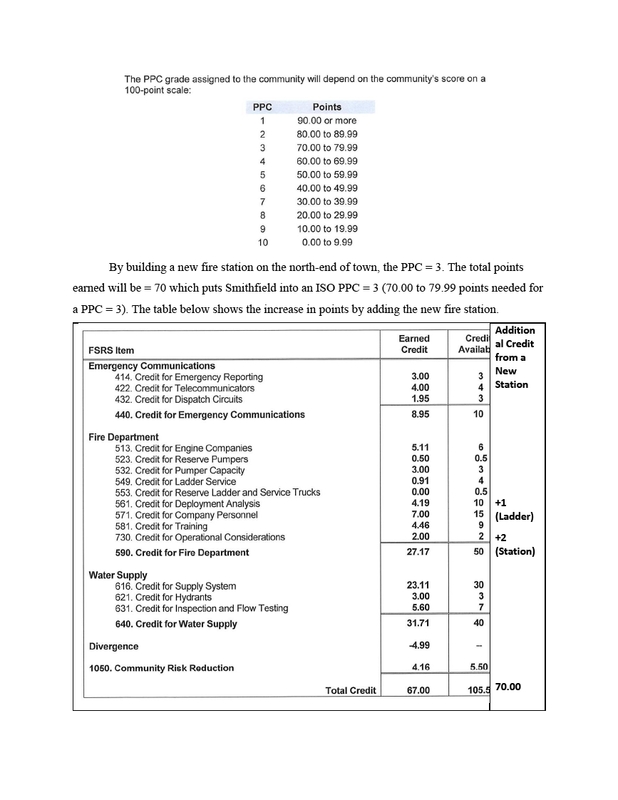 With this bond referendum comes improvements to emergency response times, build-out of critical infrastructure to support public safety in the community, and lower homeowner and business insurance rates. Please vote on Tuesday, November 6th to approve this important bond referendum. 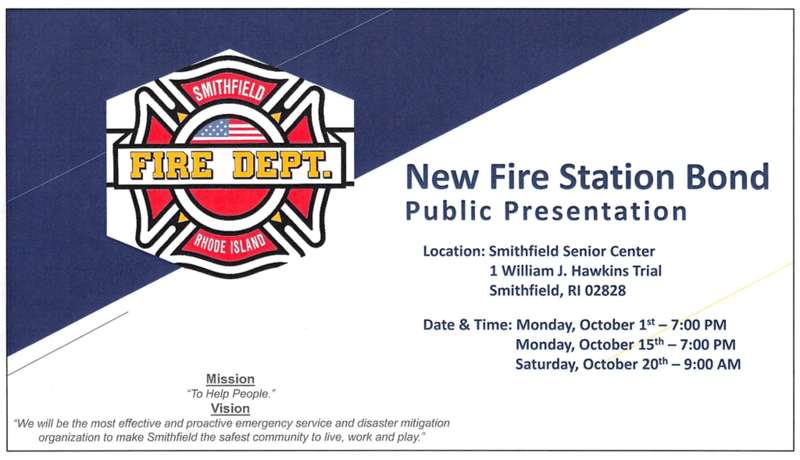 In order to provide an acceptable level of fire protection, a fire station is needed in the northeast section of Smithfield. 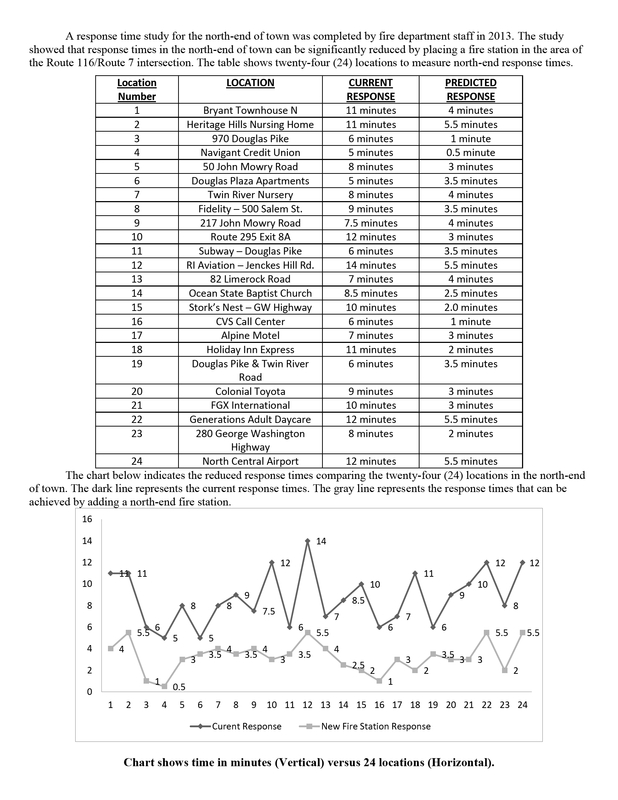 Depending on the specific location of an incident, response times typically range from 8-12 minutes in this district. 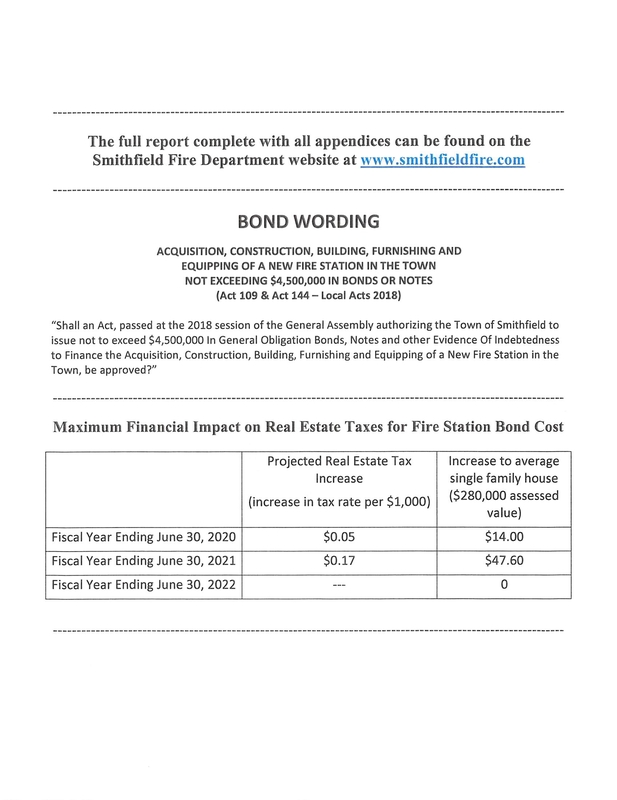 These response times are a disservice to the taxpayers, unacceptable by any recognized standards, and may be exposing the fire department and the Town to significant liability. 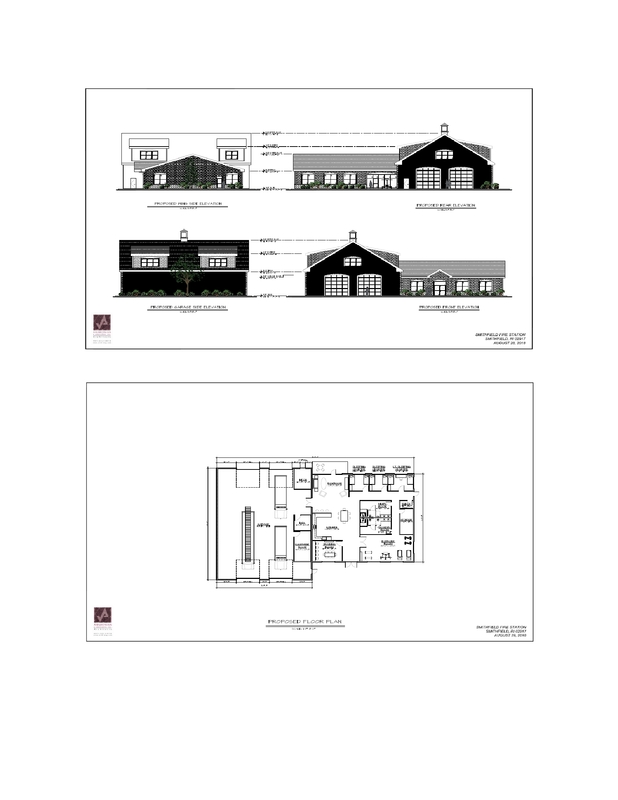 A fire station in the Route 7/Route 116/Route 295 area would improve fire and EMS protection by dramatically reducing response times on Route 7 to the North Smithfield & North Providence Town lines, the North-Central Airport/Limerock Road /upper Stillwater areas, and in both directions on Route 295. The northeast section of the town has seen a significant increase in fire department responses. This is not a new trend. The need for a station in this area was recognized as early as the mid-seventies following the arrival of Bryant University and early commercial development in the area. There is also an opportunity to improve the ISO rating for the Town of Smithfield. 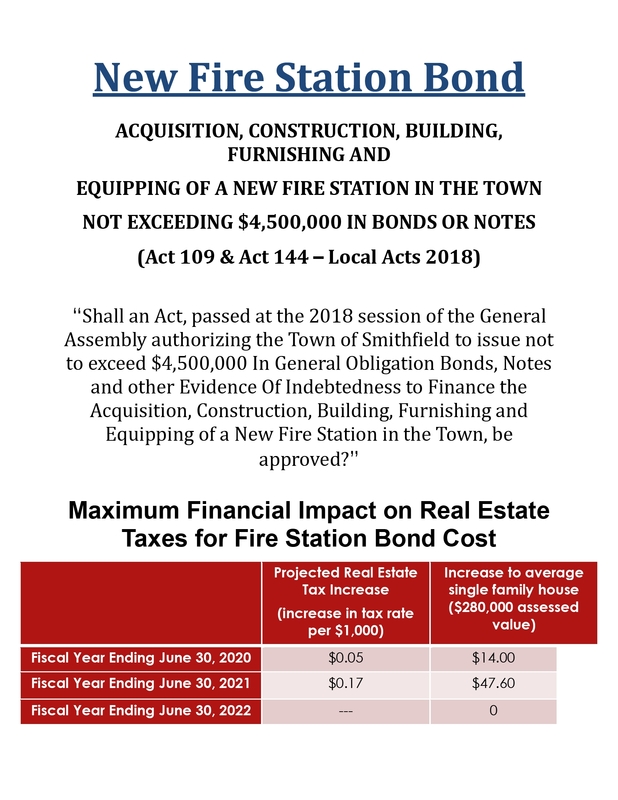 By adding service to the north-end of town, additional credit would be awarded towards our ISO rating which in turn will enable better insurance rates for properties within the town borders. 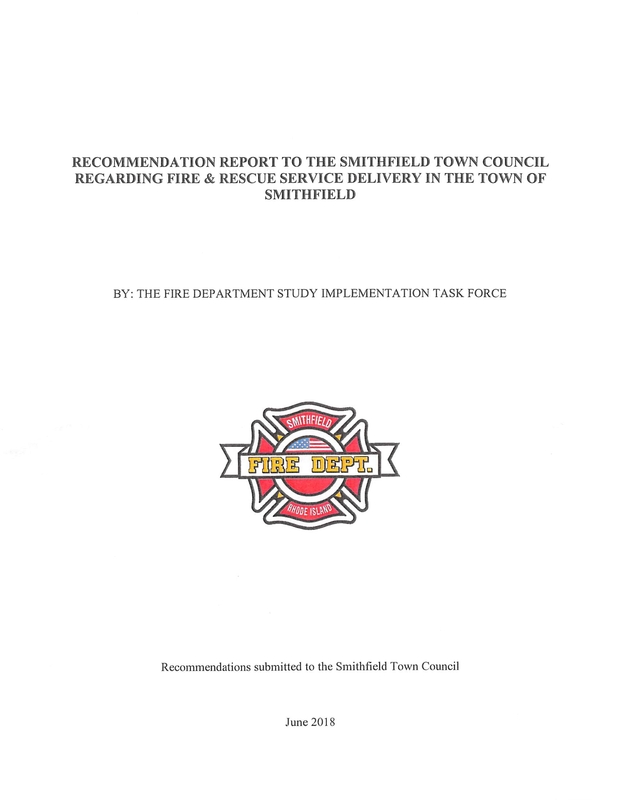 As noted in the Kramer report, the existing locations of fire stations in Smithfield are well positioned. 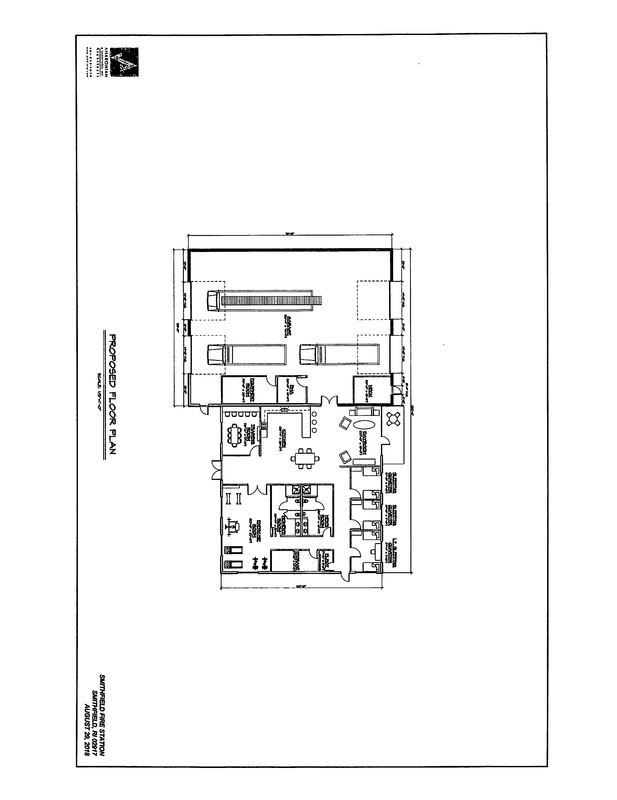 Because Fire Stations tend to be built in populated areas they are usually well located when originally conceived, and growth in most communities tends to be concentric. However, the north-end of Smithfield has been less populated over the years and is now experiencing an increase in community growth as the other areas in town have limited growth potential. The potential for additional growth in the north-end of town has increased over the past few years as increased construction has taken place as well as a revision in the zoning rules to allow a more diverse use of land in the area. 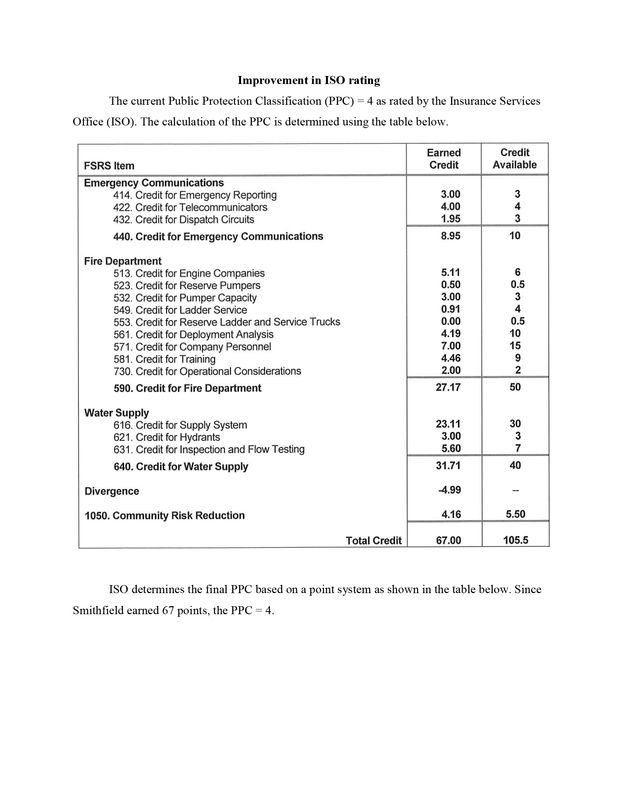 The following correspondence was received from the Insurance Services Office (ISO) regarding improvements to our current Public Protection Classification (PPC) or sometimes referred to as a community’s ISO rating. 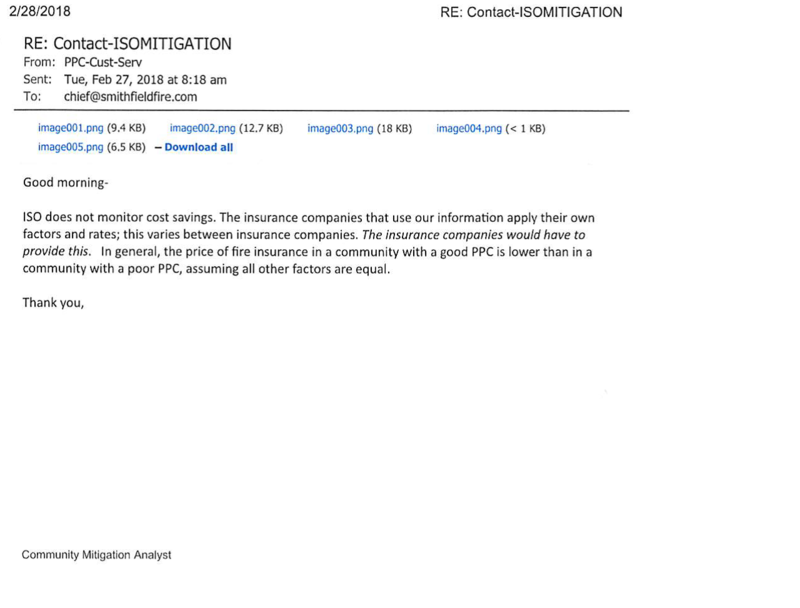 Further, the question regarding insurance cost savings with an improved PPC rating was asked of an insurance agent from which we received the following response.